Open doors to a wide variety of careers. UNT’s Bachelor of Science in Criminal Justice gives you the opportunity to begin or further your career in law enforcement or criminal justice. Our students prepare for challenging careers in public sector law enforcement, corrections, court-related employment, private sector loss prevention and corporate security, and investigative work. 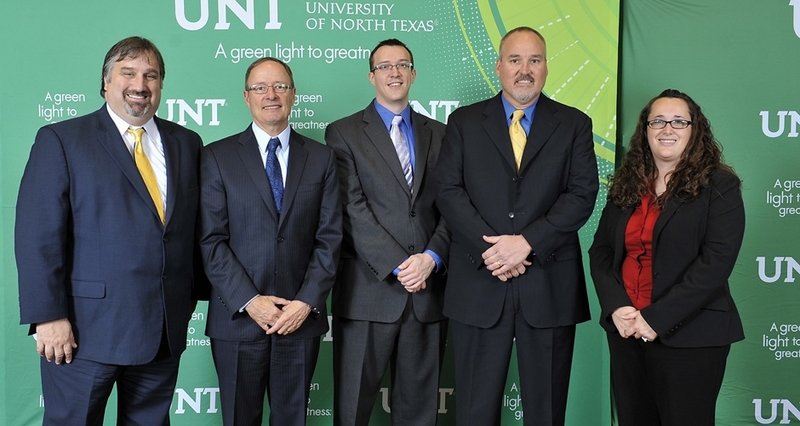 Many UNT alumni are serving in agencies throughout the DFW region and beyond as police chiefs, supervisors and police officers; special agents at federal agencies; state law enforcement officers; supervisory staff at community corrections agencies, probation officers, parole officers, and correctional officers, among others. Earn your BSCJ through UNT’s main campus, New College at Frisco or 100% Online. The Department of Criminal Justice is committed to excellence in teaching, research, and service. Our faculty is comprised of nationally recognized scholars focusing on interdisciplinary solutions to the complex problems of crime and disorder.